Deanne Arthur, Director of Queensland Sotheby's International Realty with John and Marie Manning. 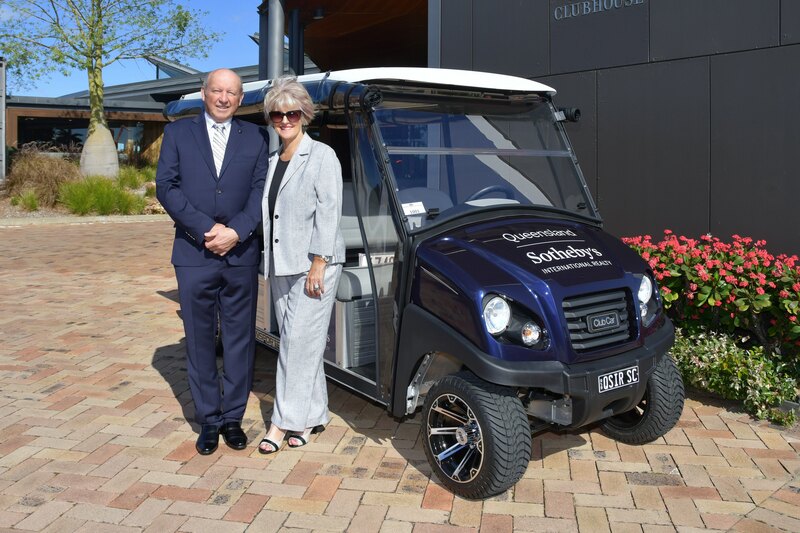 Described as a 'powerhouse couple', real estate specialists John and Marie Manning celebrated their unity with Queensland Sotheby's International Realty at an event last night, after combining forces with the prominent agency earlier this year. Held at the Sanctuary Cove Golf and Country Club, the cocktails and canapes event was attended by 140 local residents and dignitaries. 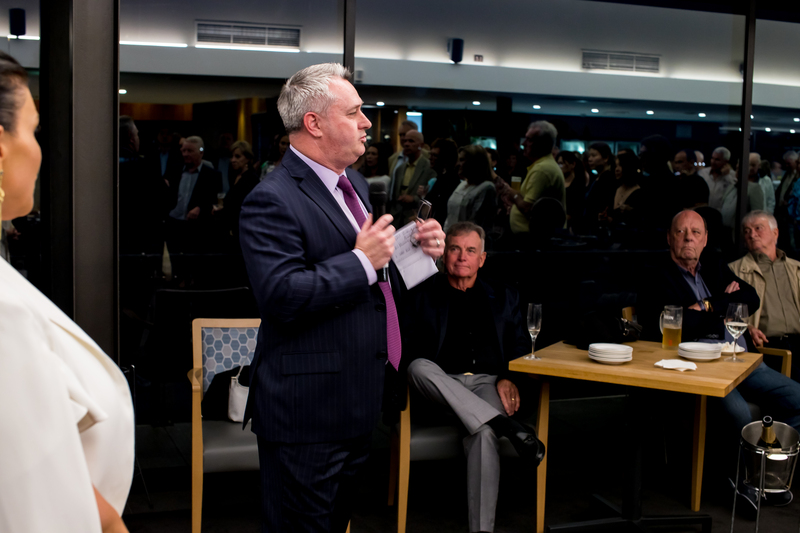 “Marie and I are thrilled with the turn-out this evening and the support received as we transition our business to Queensland Sotheby’s International Realty. 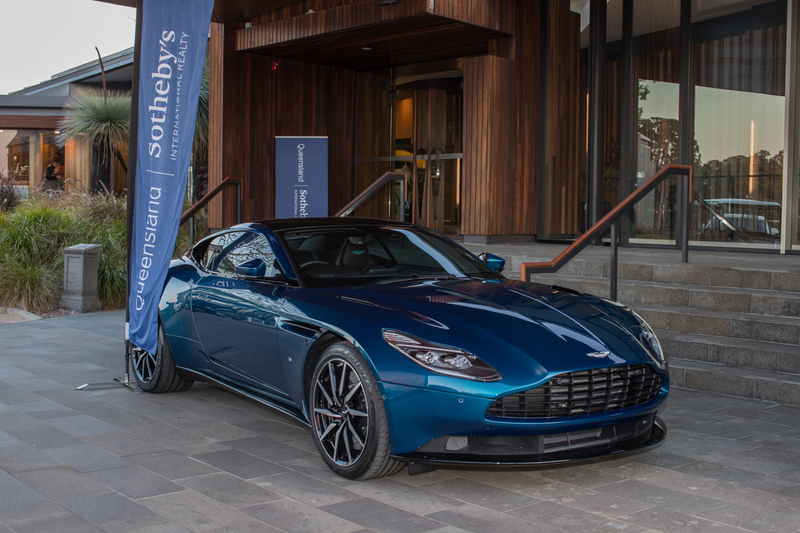 Guests were treated to a display of luxury cars at the event in Sanctuary Cove last night. Image supplied by Queensland Sotheby's. "Vickie Lea has joined us and her expertise will take our market presence to the next level,” John Manning said. The partnership with Mannings Real Estate by Queensland Sotheby's is a perfect synergy, as the agency is similarly headed up by another real estate power couple - Paul and Deanne Arthur. Manning Real Estate transformed into Queensland Sotheby’s International Realty on 1st July, and has since experienced an unprecedented number of enquiries about its real estate listings. Queensland Sotheby’s International Realty CEO Paul Arthur attributes the raised awareness to the Sotheby's International Realty massive global reach. Paul Arthur, Owner and CEO of Queensland Sotheby's International Realty. “Through our network of collaborative offices we will bring the world to Sanctuary Cove. Our selective expansion plan throughout Queensland is backed by research and due diligence as our brand grows," Arthur said. Kicking off the evening, guests were treated to a hands-on experience to inspect the finest in bespoke luxury motor cars - Rolls Royce, Aston Martin, and McLaren, compliments of Frizelle Sunshine Automotive. Pictured: John Manning and Marie Manning. Image supplied by Queensland Sotheby's. Managing Director, Paul Hewitt explains the synergies between the globally recognised brands, “Our motor cars and Sotheby’s are timeless and share a rich history. Each is symbolic of stability, trust, and loyalty”. Partnering with Queensland Sotheby's International Realty for the Sanctuary Cove celebration was Ausview Constructions Group, a premier builder specialising in residential construction. CEO Mark TU and Building Director, Stephen Goldberg employ a similar approach to the delivery of exceptional products and extraordinary customer service. "Like Queensland Sotheby’s International Realty, our clients demand excellence across a wide range of deliverables and our focus is to consistently exceed expectations,” said Mark TU.